The M.I.T. 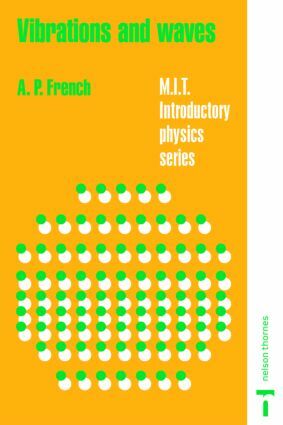 Introductory Physics Series is the result of a program of careful study, planning, and development that began in 1960. The Education Research Center at the Massachusetts Institute of Technology (formerly the Science Teaching Center) was established to study the process of instruction, aids thereto, and the learning process itself, with special reference to science teaching at the university level. Generous support from a number of foundations provided the means for assembling and maintaining an experienced staff to co-operate with members of the Institute's Physics Department in the examination, improvement, and development of physics curriculum materials for students planning careers in the sciences. After careful analysis of objectives and the problems involved, preliminary versions of textbooks were prepared, tested through classroom use at M.I.T. and other institutions, re-evaluated, rewritten, and tried again. Only then were the final manuscripts undertaken.